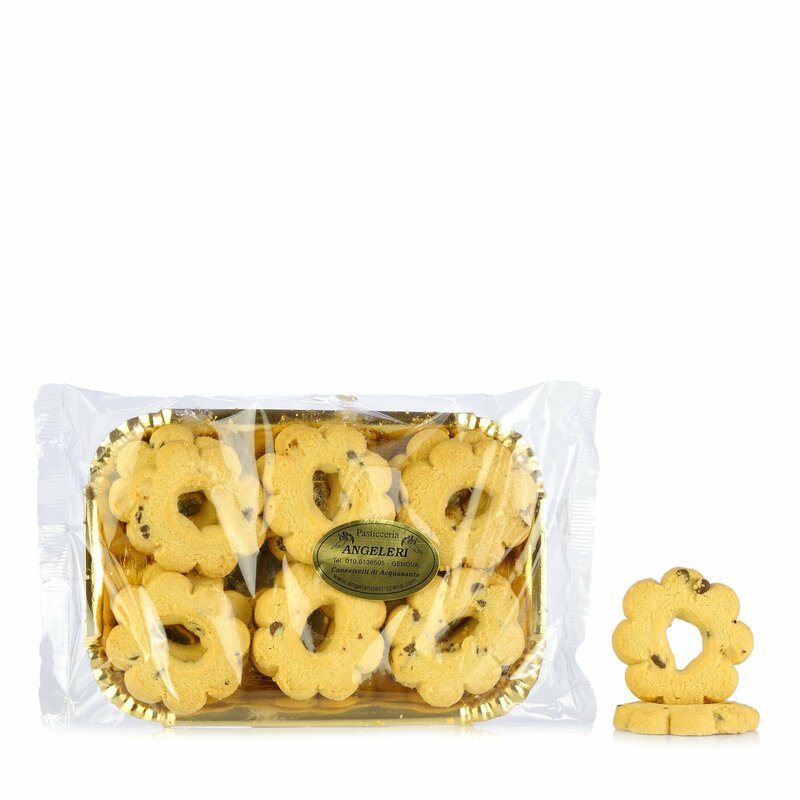 A classic Ligurian pastry biscuit produced by the traditional Angeleri bakery using only the finest ingredients. Ingredients type 00 flour, butter, sugar, eggs, chocolate chips (sugar, cocoa paste, cocoa butter, emulsifier, soya lecithin, may contain traces of milk). ALLERGENS: cereals containing gluten (wheat, rye, barley, oats, spelt, kamut, or hybrid strains) and derived p For more information on product labels, please contact our Customer Service department. The information on the labels of the products may vary for reasons beyond our control, therefore, there may be discrepancies between the information on the site and that on the products delivered. Please always check the information on the product before consumption or use.